Home ▸ News ▸ Creative Writing Adventures! Today, the Withington Junior School has been joined by pupils from the Manchester Grammar School and Armitage CofE Primary School for some very exciting creative writing workshops from author and filmmaker, Matt Dickinson. Matt has authored many books, both for children and adults, including The Everest Files which Year 6 have recently been reading in class. 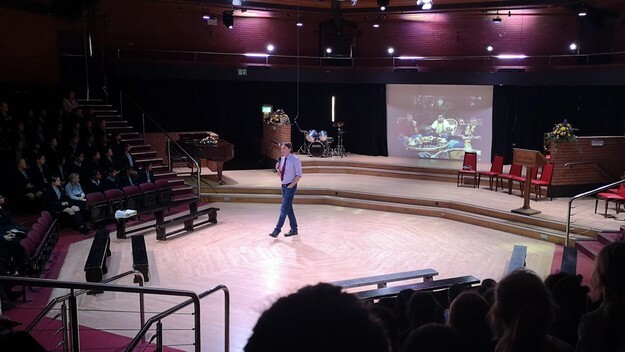 Matt delivered an enthralling talk to our girls and our guests in the Arts Centre, in which Matt spoke about his ten-week expedition through the Himalayas to the peak of Mount Everest two years ago. Matt described vividly the challenges he faced during this expedition, including frostbitten fingers, team mates being helicoptered off the mountain after contracting severe altitude sickness, and some of his 250 toffee crisp bars exploding due the air pressure. 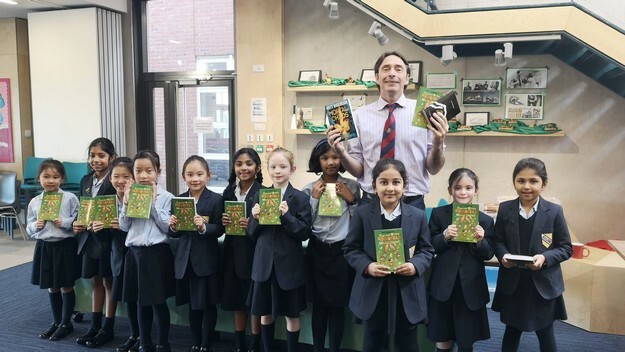 After a brief introduction to each of his novels, including the Mortal Chaos series, and Popcorn-Eating Squirrels of the World Unite!, Junior girls were given the opportunity to buy Matt’s books and even have them signed. 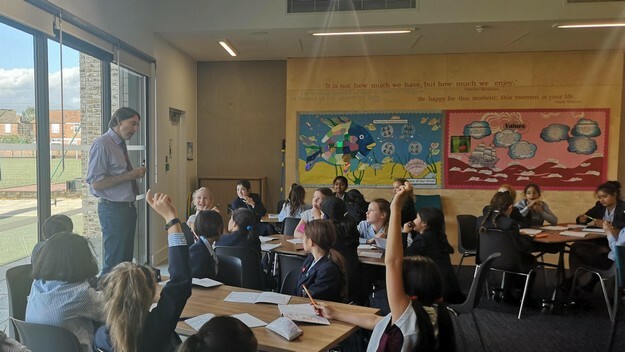 After lunch, members of Year 6 were treated to creative writing workshops with Matt himself, in which they learned about the most exciting ways to go about writing their very own adventure stories. 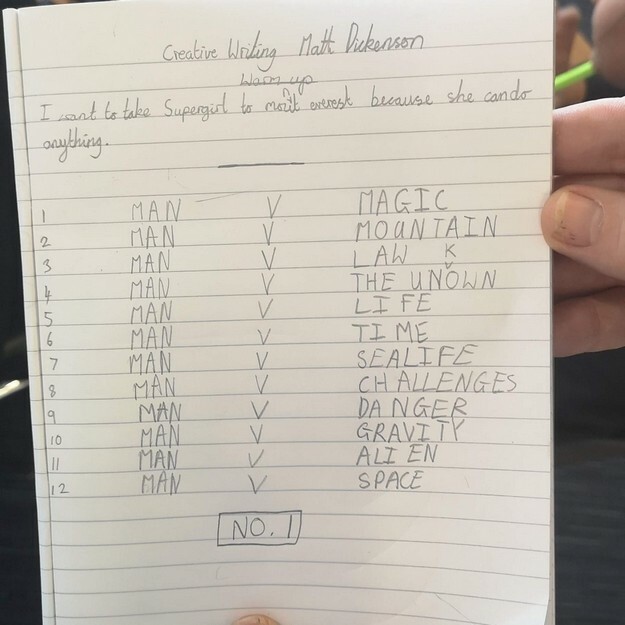 Our girls thoroughly enjoyed the day’s events and have been inspired, not only to embark upon adventures like Matt’s expedition to Everest, but also to explore the world of creative writing and see what ideas and stories they can come up with themselves. We would like to say a huge thank you to Matt, and also Sue from Simply Books for helping us to make the day a success!